Now the summer is over. We spent a week at the Lake Garda on the campsite Camping Lido in Pacengo in the south of Lazise. With three adults and three kids we rented a mobile home. It was a Maxicaravan for six people. I was pleasantly surprised. I have rather made holidays in hotels or apartments the last few years. The last time I made holidays on a campsite was nearly 30 years ago as a youngster. Now I am not keen on sleeping in a tent again, but a mobile home or living in a caravan is okay for me. A mobile home is like a small cottage with full bathroom and a kitchen. We had three bedrooms and two baths. The master bedroom had an ensuite. The only downside to this dwelling are the thin walls. That’s a bit difficult when three small children are travelling, and each child is going to sleep at another time or getting up. But since the three accompanying kids are three years old, the travelling is easier now. Worse is going on holidays with babies. In the summer I can only recommend vacation in the mobile home. We even had an air conditioner, if it was even too hot. 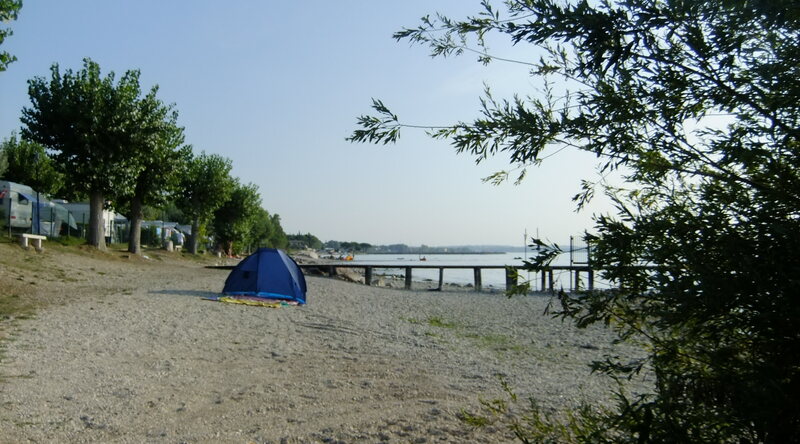 Camping Lido is located directly on the shores of Lake Garda. For the children there are four large swimming pools with fantastic slides. Who in Italy does not want to drive a car, for them there is a good public bus service. 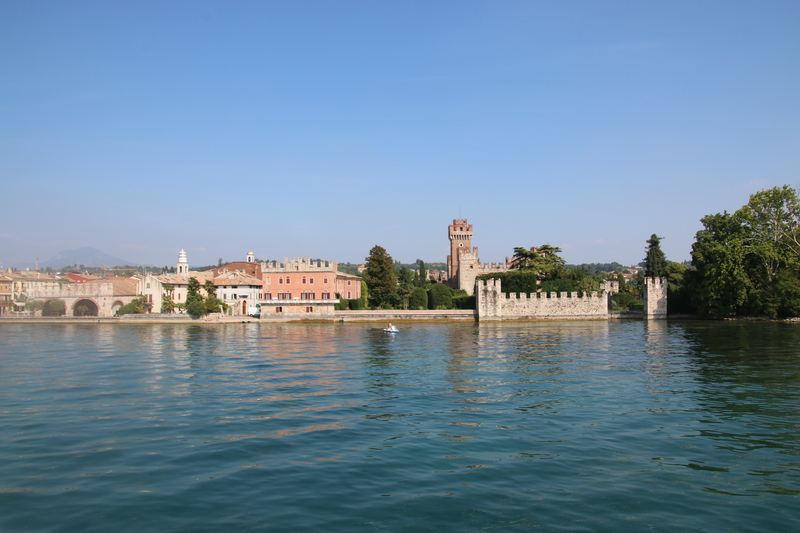 We went by bus to Lazise and from there by boat to Sirmione. The headland of Sirmione on the four kilometer long spit of land represents an impressive backdrop when you arrive at the harbor by boat. The traffic-calmed old town is separated by a wide moat from the mainland. Mostly the beaches at the Lake Garda are very rocky. In Lazise there is a piece of sandy beach where you can nicely lie in the sun, and the children can play in the sand. In any case you should pack slippers at a holiday on Lake Garda. From Munich, it takes about 4 1/2 hours by car to Lake Garda, if there is not too much traffic jam. At the Brenner and at the toll stations you will always find traffic jam. Nevertheless, the lake is a good family holiday destination, if you live in Southern Germany.